Play Frank – Drilling for Wins / Final Week! Earn up to 120 Free Spins and claim a generous reload bonus! 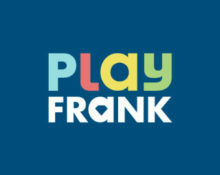 Get ready for the last bumper week at Play Frank as the team has set-up two exciting challenges. First players can drill again for wins and collect up to 120 Free Spins on Sweet 27, the latest creation from Play’n GO. On the weekend, players can claim a 50% deposit bonus to use on the games in the spotlight. Up for a last challenge of the “Drilling for Wins” campaign? Then get ready as all players can earn this week up to 120 Free Spins on Sweet27. Everyone will be getting 20 Free Spins on the first deposit and if they wager specific amounts on the eligible games they get up to 100 extra Free Spins. Get off to a great start into the new month when you spin on any WMS games at Play Frank from 5th to 6th August 2017. All players will be rewarded with a generous reload bonus on their first deposit during the “Casino Spotlight” challenge that can be used on any WMS slots only. Get a 50% reload bonus, up to £/€/$ 150, with your first deposit from 5th – 6th August 2017. Wagering requirement is 30x D + B on WMS games only within seven days, subject to the Play Frank bonus terms and conditions.